Police and fire departments in the city of Laval, Que., were kept busy overnight as power outages continue after freezing rain hit the region on Monday, leading to carbon monoxide poisonings and fires. Two more families, a total of 10 people, were treated for carbon monoxide poisoning, according to Sylvain Gariépy, a division chief of operations with the Laval fire department. In 48 hours, there have been 17 fires and several other reports of CO poisoning. The fires were caused by fireplaces, generators and candles. Authorities are reminding residents to check their smoke and carbon monoxide detectors to ensure they are working. Generators should be kept about three metres from homes, and barbecues — gas or charcoal — should not be brought inside for heat or cooking because of the carbon monoxide risk, Gariépy said. About 110,000 Quebec homes and businesses are still affected by the power outages just north of Montreal, with most in the regions of Laval, Lanaudière and the Laurentians. Hydro-Québec has some 500 crews out working to restore power, and some crews came up from Vermont to help. At its peak, the power company said 316,000 customers were without power. Provincial officials say power should be restored to most customers by Thursday morning, but Hydro-Québec is unable to say exactly when the grid will be back up and running at 100 per cent. “Sometimes, when you repair a main artery, a secondary problem appears,” says Cendrix Bouchard, a spokesperson for the utility. As of 6 a.m. ET, there were 40,000 customers without power in the Lanaudière region and another 39,000 in the Laurentians. 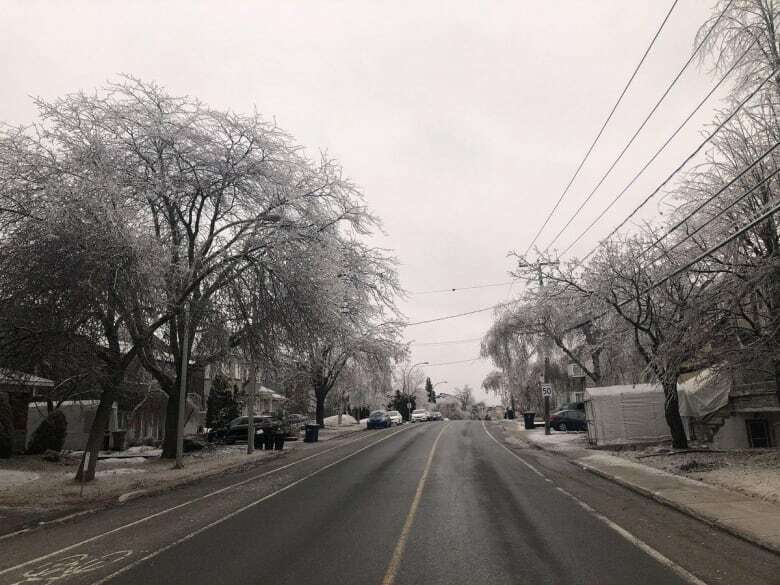 There were 29,000 without power in Laval and about 550 in the Outaouais region. Laval police increased patrols overnight to keep an eye on vacant homes and check in with residents, providing information and making sure they were safe. There were no calls about break-ins, police say. The fire and police departments checked on 114 residences, focusing on checking in with the city’s most vulnerable populations. The Sir WilfridLaurier School Board has closed Pierre Elliott Trudeau Elementary, McCaig Elementary, Pinewood Elementary and Rosemere High. All other SWLSB schools will be open Wednesday. The Commission scolaire de Laval (CSDL) and Commission scolairedesAffluents have cancelled classes for the day, although some CSDL professional training centres are open. Commission scolaire de la Seigneurie-des-Mille-Iles has closed 22 facilities for the day. Some private schools, such as Collège Laval and CollègeLetendre, have closed as well.